While the internet has revolutionized the way we send information, it has done very little for how we build roads, develop products, construct buildings and ship goods across the world. Much of that is still done manually or at most with the help of computerized information systems, which aren’t even necessarily online. Very little about the real world is automated. Millions of people still have to turn on machines, log their work, supervise them, make sure the work they do is paid for and so on and so forth. However, the future can be seen creeping in if you look in the right places. Car-making robots. Exoskeletons used by construction workers to lift heavier loads for extended periods of time. Autonomous heavy vehicles working in mines. Millions of sensors taking every reading imaginable and conveying that information to a myriad of computers, machines and higher-level systems. Everything constantly talking to each other, exchanging information and even paying each other in real time to perform work and transfer data. The basic principle of Industry 4.0 is connecting machines, computers and systems in intelligent networks along the entire value chain of the industrial process that controls itself autonomously. The capability of complex industrial elements and systems to work in a seamless and integrated manner will bring trillions of dollars of economic growth to the world. It will unleash the potential of idle computers and untapped energy sources and human capital that is currently preoccupied with mundane and repetitive tasks. Especially in developed countries, which sorely lacks skilled labor, Industry 4.0 is seen as a way to continue technological supremacy and economic leadership in the the world. While America and Europe won’t be able to compete on many levels – including energy prices, environmental regulations and price of skilled labor – they can still attempt to compete by owning the most sophisticated machines and locating them in proximity to the markets they are serving. The end product should result in houses that are built faster, minerals that are mined with less loss of human health and life and goods and products that make it to the consumer with far less human interference. While current internet protocols are good for sending information between computer servers, they cannot be relied on to provide sure information, are often not secure and can’t really send value between machines. Predictivity. In an Industry 4.0 factory components and systems gain self-awareness and self-predictiveness, providing management with additional insight on the production process. However, this is a monumental change and there are challenges that Industry 4.0 is facing. 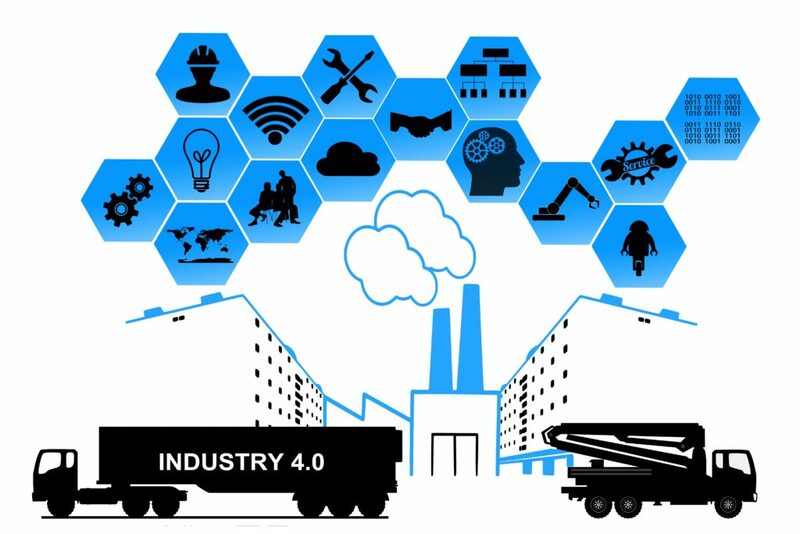 One of the fundamental technical principles of Industry 4.0 is the idea of the interoperability of chains. You can learn more about that here. If you are looking to launch an industry 4.0 solution or integrate your business into the industry 4.0 ecosystem please feel free to contact MLG Blockchain to learn more.